The grapes have undergone veraison – the onset of ripening when the color of the berries (grapes) change color. Until now both the red and white varieties have been green. Literally. 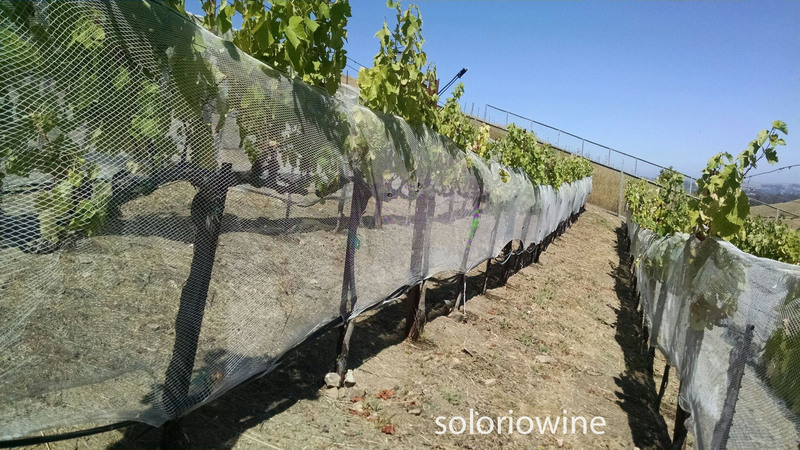 In some of the vineyards we take care of, we’ve had to net the vines against local birds who have also noticed the ripening fruit.